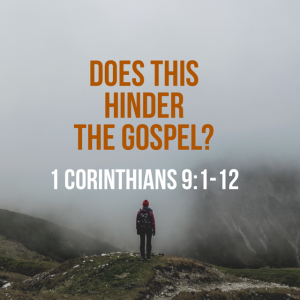 Devotionals > 1 Corinthians 9:1-12: Does This Hinder the Gospel? Paul, who had founded the church at Corinth, now had a strained relationship with the church. The reasons for that strain were several, but among them was the issue that Paul had not accepted a fee from them. Other preachers and travelling speakers were customarily paid. But Paul did not want to enter into the dominance hierarchy by accepting money from the Corinthian church – even though he knew he had the right to do so. It appears that this refusal to accept money was being interpreted by some in a negative light. Perhaps Paul thought he was too good for them or not willing to play by the rules that other people followed. In answering these concerns, Paul teaches some important principles about church life and Christian ministry. First, that an apostle is one who has “seen the Lord.” The authority of the apostle derived directly from the commission of Jesus Christ and they were those who bore witness to the risen Jesus and were authorized by God’s Spirit to teach God’s word and authorize the doctrinal foundations for the church. Second, that being married in ministry – even as an apostle, certainly as a pastor – is not unbiblical. Other apostles were married and carried on their ministry. It is not biblical to refuse to allow full-time Christian pastors to be married. If the apostle Peter was married, why should we insist that a pastor not be married? Third, it is right and biblical that pastors are paid. “Whoever plows and threshes should be able to do so in the hope of sharing in the harvest.” Paul did not make use of this right, but that did not mean the right did not exist. 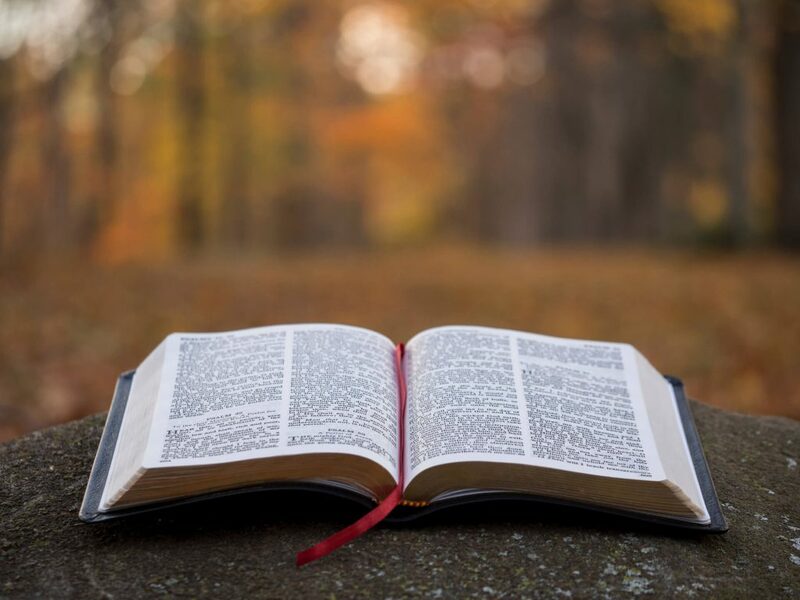 Where possible – and in some instances it is not possible – it is a benefit for the church to have a pastor who receives a salary so that the pastor can give his attention fully to the work of the Word, prayer, and shepherding the church. Fourth, Paul’s passion is a model, though, for us all. While Paul had the right to be paid, he sensed that in this instance in Corinth, for him to have been paid would have hindered the gospel. Therefore, he earned his living from making tents and did not receive a fee of any kind. Why? “We put up with anything rather than hinder the gospel of Christ.” How we need that passion again today. May God’s church around the world be led by pastors and filled with Christians who will put up with losing their rights if it is necessary for the gospel of Christ to make progress.